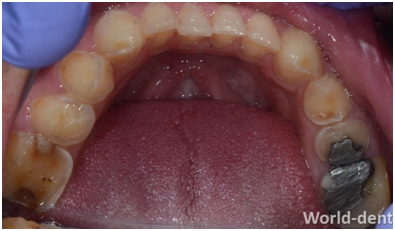 WHAT DOES FULL MOUTH REHABILITATION MEAN? Full mouth rehabilitation or Full mouth restoration are terms often used interchangeably to describe the process of 'rebuilding' or 'simultaneously restoring' all the teeth in both the upper and lower jaws to maximise function and aesthetics. In today's fast-paced world, Stress and Fatigue have become unavoidable components in our lives. Their effect is not only pronounced on our health, but our teeth as well! Yes, you heard that right! Teeth bear the consequences of stress and heavy muscular forces; resulting in 'grinding away' of the enamel. This results in "Loss of facial height" of the facial structure, giving you an 'old, drooping' look. It has been proven that 75% of cases of Sleep Bruxism or as we may call it 'night grinding' are caused by stress or anxiety, which affects people subconsciously while they're asleep! High levels of stress (work-related or otherwise) can have a significant effect on your sleep and hence trigger episodes of Sleep Bruxism. This causes you to clench your jaw or grind your teeth subconsciously. We, at World-Dent understand this phenomenon and strive tohelp you gain back the function of your teeth, along with a dazzling smile!! All of this, while taking care of your needs and ensuring priority of your comforts in our warm, caring environment. 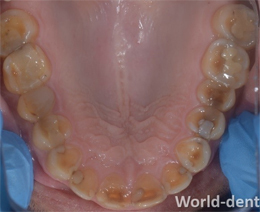 Firstly, we analyse the amount of tooth structure lost due to grinding, erosion or other factors. Next, we customise a treatment plan in order to primarily restore the lost function of your teeth and regain a healthy smile. There can be severe loss of the vertical height of the face due to chemical, mechanical and traumatic causes. (Erosion, Attrition, and Abrasion of teeth). This can give rise to both aesthetic and functional problems for the patient. 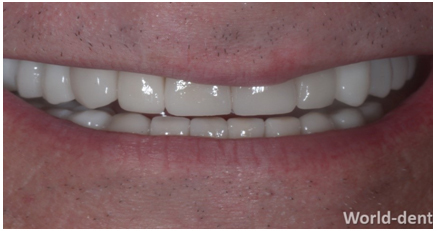 Full mouth Restorations with ALL CERAMIC, CAD-CAM, EMAX / ZIRCONIA Crowns, Mini crowns, Veneers to restore the loss bite , function and aesthetics, is a very promising and successful treatment modality. Full Mouth rehabilitation seeks to convert all of these unfavourable forces on the teeth, which inevitably induce pathologic conditions, into favorable forces which permit normal function. 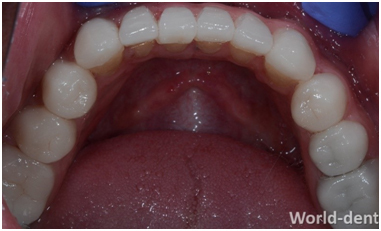 Full mouth rehabilitation cases involve not only replacement of the lost tooth structure but also restoring the lost vertical facial height dimensions due to a collapsed bite along with the fabulous aesthetic outcomes. We, at World-dent specialize in full mouth rehabilitations of the lost bite with predictable and successful outcomes. We have to preserve everything from here (as you would've already have lost tooth structure) and be as conservative in our approach at the same time provide you with a solution that would last you in good stead. A face bow transfer and mounting on a semi adjustable articulator followed by a full mouth wax up in the cast with increased bite of 3-3.5 mm. 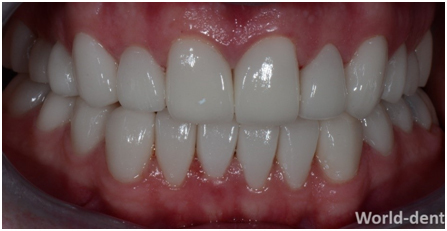 After this we proceed to prepare the teeth for minimal / no preparations for All Ceramic Crowns Zirconia /Emax, Mini Crowns / Veneers or Onlay Crowns. Placement of Temporary Restorations, so you can become accustomed to the feeling of your new teeth and the new Bite Alignment till your permanent restorations get fabricated. 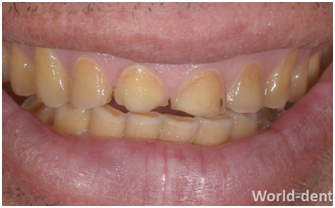 8-10 days later Trials for the look feel and function of the Permanent restorations, followed by Final bonded Cementation of your Permanent Restorations. 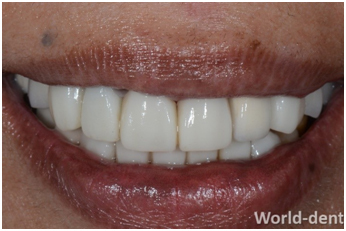 The successful integration of aesthetics and function do not emerge by chance, but rather as a result of the meticulous team approach by Dental Prosthodontists at World-dent and the state of the art dental technique laboratory that ensures us spectacular and gratifying results time after time. We highly recommend that you wear a night guard which we shall customise & fabricate for you. A Night-guardis a dental appliance that is meant to be worn at bedtime; It protects the teeth from grinding forces & prevents occlusal wear. This is considered to be a breakthrough in dental crown technology. This Crown is made from a Single Block of Monolithic Lithium Disilicate Ceramic. It delivers outstanding aesthetics and a great Precision Fit. 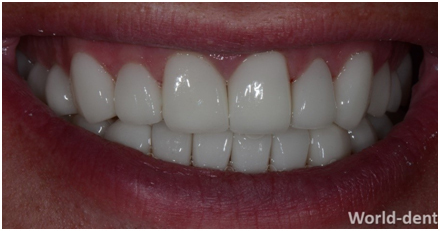 E-Max crowns provide a Flexural Strength of 360–400 MPa, owing to their unique composition of Lithium Disilicate Ceramic making it the Ideal High-Strength solution for single-unit anterior or posterior crowns. This is a state-of-the-art material which has been harvested for its Strength, Durability and Translucent qualities. It is definitely a better alternative to the Porcelain Fused to Metal (PFM) prosthesis, which are now on their way out. 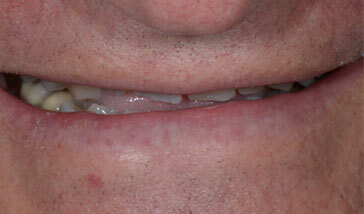 An Inlayis a prosthesis that fits withinthe tooth, in cases where a crown may not be required for the tooth. 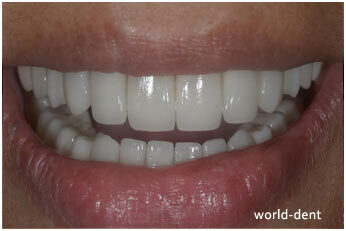 It is an All-Ceramic CAD-CAM structure, cemented within the tooth structure. An Onlay is like a Table-Top structure that is seated onto the tooth. 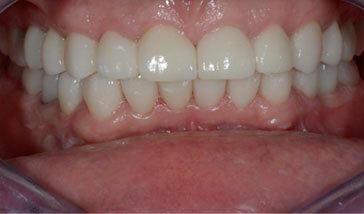 It is usually planned for teeth for which need occlusal part needs to be restored and where a crown may not be needed. 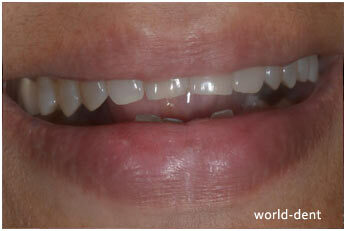 It is a more conservative approach, as it involves preparation of lesser tooth structure. 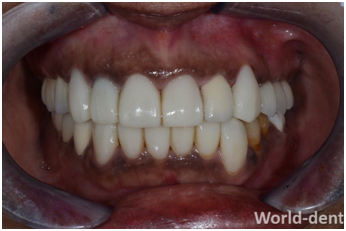 Patient's aesthetics are restored and bite is successfully corrected with Zirconia crowns on implants. Oral health plays, Full Mouth Rehabilitation Dentist Mumbai, a prime role in preserving a person’s self-esteem and good oral health goes a long way in improving a person’s quality of life. 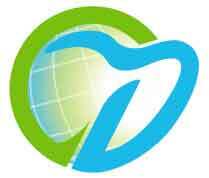 Today at World -dent our constant aim in Dentistry is to increase the life span of the functioning dentition. 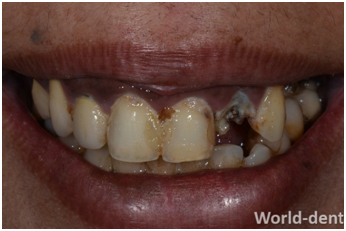 This is the reason why FULL MOUTH REHABILITATION of the neglected adult dentition is of increasing importance, as it is through this procedure that patients with dentitions which are in different stages of degeneration or loss can be restored to normal functional dental health. The gradual wearing off of the chewing surfaces of teeth is a normal physiological process during the lifetime of a patient. However, when there is severe grinding of the teeth due to Bruxism (night grinding), erosion of teeth due to acid reflux into the mouth or habits like anorexia nervosa, habits like supari chewing, the attrition and wear of the teeth can result in requirement of root canal therapy, loss of vertical height of the face, impaired function, and a premature aged look resulting in aesthetic disfigurement. Full mouth, rehabilitation, reconstruction and restoration are terms often used interchangeably to describe the process of rebuilding or simultaneously restoring all of the teeth in both the upper and lower jaws. 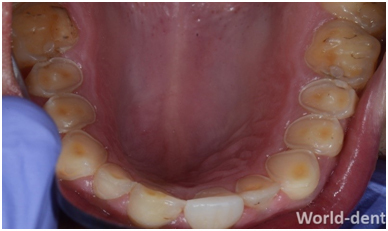 Tooth loss due to decay or trauma. Teeth that have been fractured or lost. 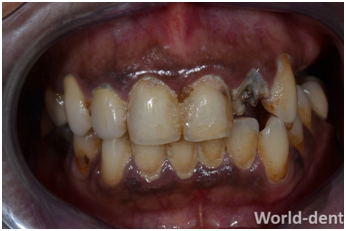 Severe wear of teeth due to long-term acid erosion (foods, beverages, acid reflux) or tooth grinding(bruxism). Repeated complaints of pain in the jaw, muscle pain and headache requiring repeated adjustments to the occlusion. To ascertain exactly the cause of the wear of the teeth is not always possible and in most cases there is a combination of the above that results in loss of facial height due to loss of enamel and dentin due to severe grinding of the teeth. 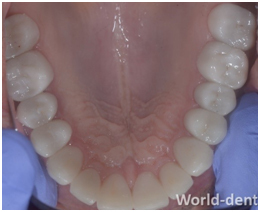 Therefore, only specialized Prosthodontists at team World -dent can accurately identify the factors that contribute to excessive wear and eventual loss of vertical height of the face caused by the worn dentition. Anorexia and bulimia nervosa an eating disorder that affects young adolescents and teenagers should be identified as a chemical erosion of the teeth. 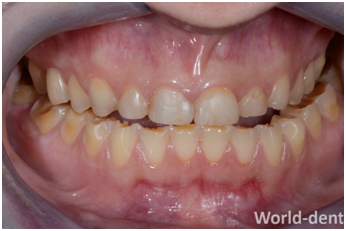 The proper management of the physiological, psychological and functional bite restoration is paramount in the success of these cases. 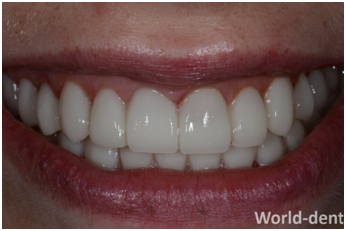 As Prosthodontists at the World-dent are Specialists that have in depth dental knowledge on tooth anatomy, functional occlusion and overall facial aesthetics. 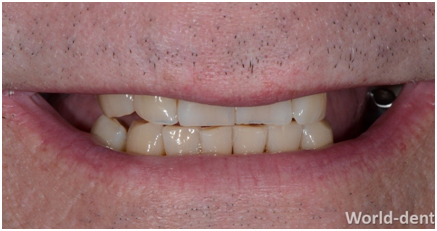 Full mouth Restorations with ALL CERAMIC, CAD-CAM, EMAX / ZIRCONIA Crowns to restore the loss bite and function and aesthetics compromised with this debilitating condition is a very promising and successful treatment modality . The full mouth rehabilitation procedure requires a large amount of planning and the dedication and highly qualified PROSTHODONTIST so that each stage of your treatment will be planned and executed with precision. Our highly-qualified team at World Dental Specialities are trained and have vast experience to carry out this complex and highly customized dental treatment and they will plan what exact procedures are needed for your specific case. 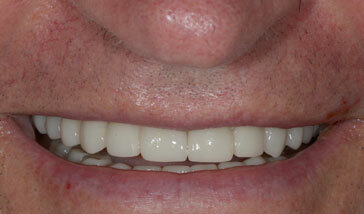 Full mouth rehabilitation is a highly-individualised treatment. How do we plan each individual case and determine the treatment plan specific to each patient? 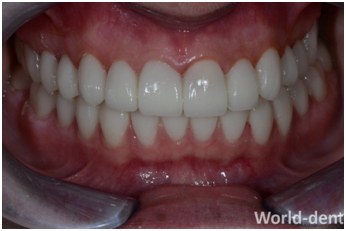 The Prosthodontists at World Dental Specialities will examine your mouth to determine the extent of the problem and the treatment options that can be used to correct it. They will examine the following areas to come up with a final comprehensive plan of treatment to each individual case. 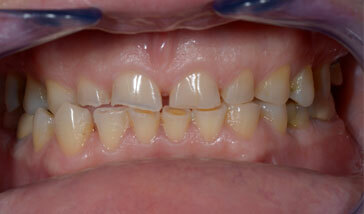 This is done to ensure that the underlying foundation for the newly constructed teeth is good. If you have any underlying periodontal issues they will have to be addressed first such as scaling and polishing or elimination of periodontal pockets to ensure good periodontal health before starting the restoration of the teeth. Assessment of occlusion, TMJ and the musculature. 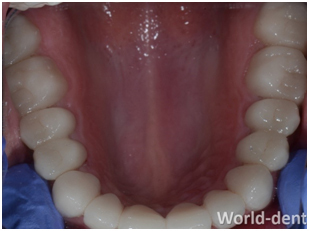 The world-dent Prosthodontists will also assess the occlusion of the patient to see if there is a stable bite which is one in which you have no discomfort when you open or close your mouth or chew and it does not cause wear or destruction of your teeth. 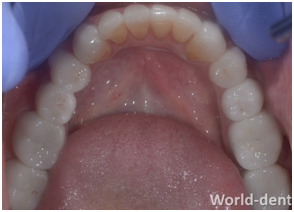 Treatment is planned to eliminate all occlusal interferences and restore the patient to the most comfortable and functional bite. Tooth wear are of 3 types . Anorexia and bulimia nervosa an eating disorder that affects young adolescents and teenagers should be identified as a chemical erosion of the teeth. 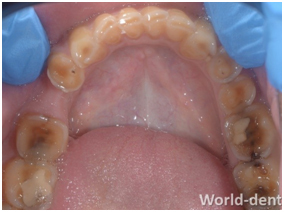 The proper management of the physiological , psychological and functional bite restoration is paramount in the success of these cases. 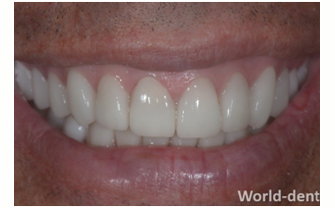 As Prosthodontists at the World-dent are Specialists that have in depth dental knowledge on tooth anatomy , functional occlusion and overall facial aesthetics. Extreme loss of the vertical dimension or height of face due to chemical, mechanical and traumatic causes. 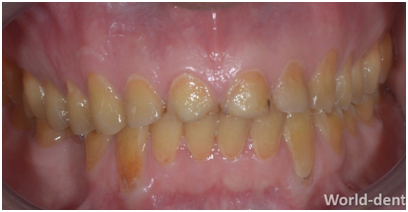 This can give rise to both esthetic and functional problems for the patient. 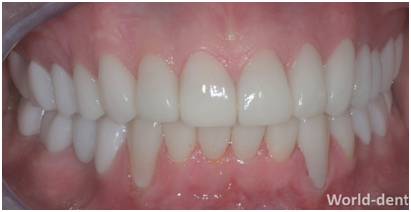 ALL CERAMIC ,CAD-CAM ,EMAX / ZIRCONIA Crowns to restore the loss bite and function and aesthetics compromised with this debilitating condition is a very promising and successful treatment modality . 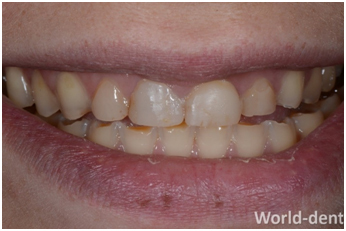 Full mouth rehabilitation cases cases involve optimal restoration of the patients lost enamel and dentin ( lost tooth structure) , restoring the collapsed vertical facial height dimensions due to a decreased bite efficiency along with the fabulous aesthetic outcomes.